Navalny was given a 20-day sentence — his third incarceration since he announced his run for the presidency back in December 2016. 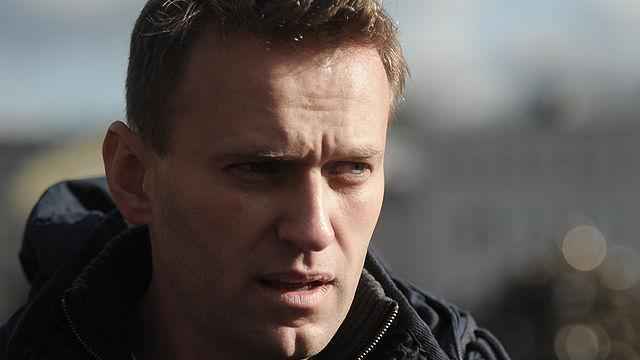 Ever since his strong showing in the Moscow mayoral elections in September 2013, the authorities see Navalny as a serious threat and fear him. 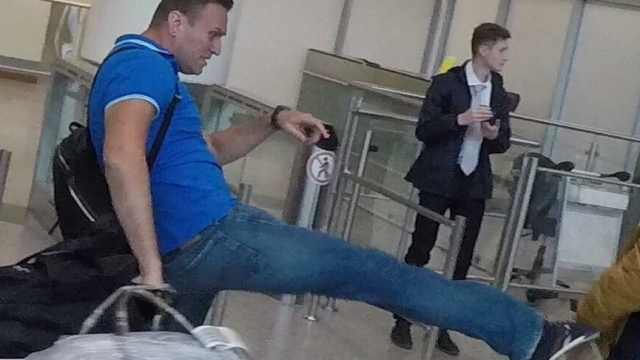 Navalny’s brother, Oleg, is being held hostage in prison and Navalny himself is also occasionally taken out of circulation, with authorities detaining him. But the Kremlin has yet to take the step of bringing another criminal charge against the opposition leader and locking him up for good. The reason is not because those orchestrating the elections need Navalny. They would never let him run for president anyway, and Putin does not need a vocal opponent to increase voter turnout and give the elections a veneer of legitimacy. Navalny undertook his recent tour of Murmansk, Yekaterinburg, Omsk, Khabarovsk, Vladivostok, Novosibirsk, Orenburg, and Nizhny Novgorod as a way to break out of the so-called “internet ghetto”— to give thousands of Russians a chance to “touch him with their own hands,” and to prove that he is a man of the people and not some sort of immovable Moscow fixture. He is in it for the long-term, and 2018 is just an opportunity to build up his public image and prepare himself for the 2024 presidential race as a candidate of national standing. Navalny is no Boris Yeltsin, who, from the late 1980s, became such a unifying figure because he embodied a single message: that Russia should abandon communism. What’s more, the current situation is much more complicated than it was during perestroika. 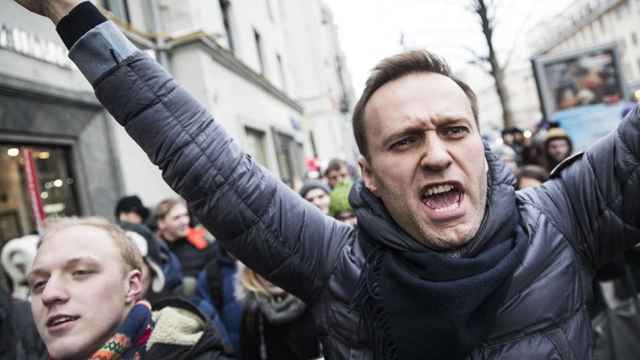 Now, most Russians support the ruling regime and its leader, and the remaining minority does not consider Navalny their only representative in the world of opposition politics. What’s more, Russia’s democratic opposition has long suffered from “narcissism of petty differences” — for every two opposition figures there are at least three opinions. Navalny is envied by those who he could theoretically unite. 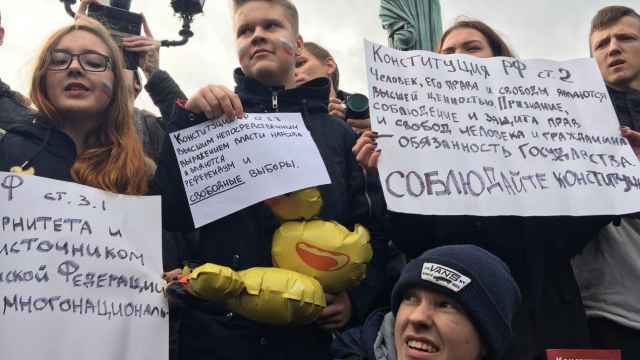 For example, popular media figure Ksenia Sobchak has said that more people buy tickets to attend her shows than come to Navalny’s free public rallies. That overlooks the difference between attending a non-political performance and the physical danger that threatens anyone attending an opposition rally — events that the authorities always manage to subvert in one way or another. 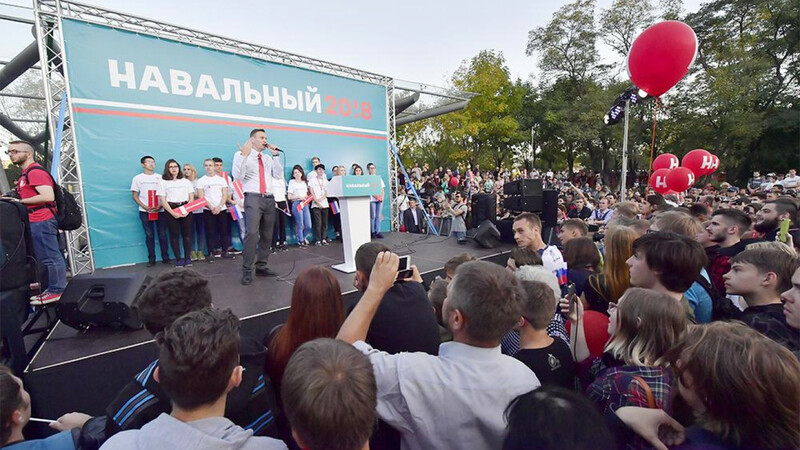 At the same time, Navalny also often displays envy toward his colleagues, such as Dmitry Gudkov, who put together an exceptionally effective team for the Moscow municipal elections in September. Navalny’s strategy is a slow-burning one. His campaign is becoming something of an ongoing revolution as it reaches an increasing number of people who are getting, at the very least, the chance to form a firsthand opinion of the protest leader. 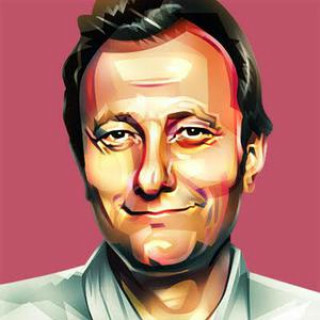 Of course, for Navalny to retain his position as a key opposition figure, he needs to focus not only on the negative message of ousting Putin’s elite, but also on a positive message, by producing a road map for a better future. The demand for such a road map definitely exists. In August, the Moscow Carnegie Center and the Levada Center conducted a national survey measuring Russians’ preparedness for change. Only 2 percent of respondents saw Navalny as having the potential to put forward a reform program — but this is mostly because he is an opposition figure and far less well known than those already in power. Interestingly, the greatest number of people who saw him as capable of formulating a program of reform were those between the ages of 25 and 39, with a higher education (4 percent), Muscovites (5 percent), and the residents of cities with populations between 100,000 and 500,000. That is, the exact locations where Navalny’s rallies have enjoyed the most support. Time is on Navalny’s side. If he doesn’t commit a blunder that disenchants potential voters, and if the authorities don’t take the brute force approach of locking him away for a number of years, he could emerge as a key opposition figure between 2018 and 2024. And, potentially, he would be one of the main players in a post-Putin Russia. With one caveat — Russia has to make that transition first. Andrei Kolnesnikov is a senior associate and the chair of the Russian Domestic Politics and Political Institutions Program at the Carnegie Moscow Center. The views and opinions expressed in opinion pieces do not necessarily reflect the position of The Moscow Times.